Alaska received some good economic news this week. Reports by the U.S. Department of Commerce and Moody’s Investors Service show our state’s finances are strong and our economy remains ahead of many other states. Moody’s has upgraded Alaska’s bond rating to “Aaa”. This is the highest credit rating in Alaska’s history, and a testament to our state’s strong financial management. The legislature has taken the lead, prudently managing state finances by placing over $12 billion into state savings. The higher bond rating will save our state tens of millions of dollars in financing future bond sales including the education construction bond voters approved earlier this month. Also this week, the U.S. Department of Commerce released a report highlighting the Gross Domestic Product of each state. While the report documented an economic downturn for most states, Alaska’s GDP was shown to have grown during the same period. In 2009, real GDP amongst states declined 2.1%, but Alaska’s GDP grew by 3.5%. This economic growth can be attributed in part to the infrastructure investments the legislature has made to keep Alaskans working and develop our state during the economic downturn. 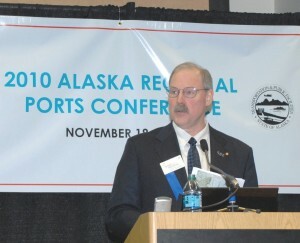 I just returned from Anchorage and speaking at the Alaska Regional Ports Conference. The meeting was a good opportunity to talk with state leaders about accomplishments and challenges improving our state’s marine infrastructure. Alaska’s ports and harbors are a vital part of our state’s economic future. Nearly all state owned harbors are in Southeast, so how these assets are managed is important to our region. 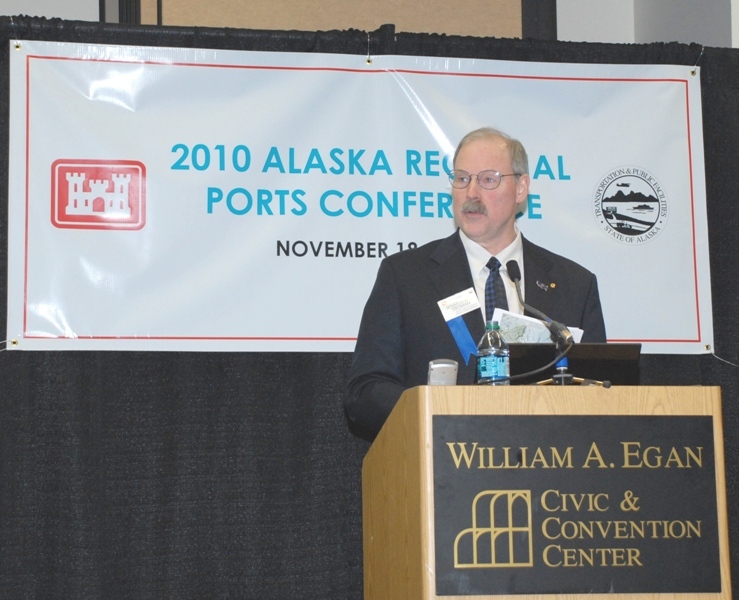 When I arrived in Juneau 7 years ago, I brought a personal commitment to ensure the rest of the state understands the importance of Alaska’s ports and harbors. The legislature has led the way on this issue. We’ve increased local ownership of harbors and appropriated over $215 million in port and harbor improvements during the last 6 years. The State of Alaska is also partnered with the Army Corps of Engineers and the Denali Commission to develop a strategic roadmap for revitalizing our ports & harbors. I got a chance to observe the progress we’ve made both at the conference and during a tour of the Port of Anchorage. I enjoyed addressing the conference and look forward to continue working with state and federal agencies, the Governor and the legislature to improve our coastal infrastructure. I’d like to thank Colonel Reinhard Koenig of the Alaska District Army Corps of Engineers and the Denali Commission for inviting me to speak, and RISE Alaska for putting on a great event. 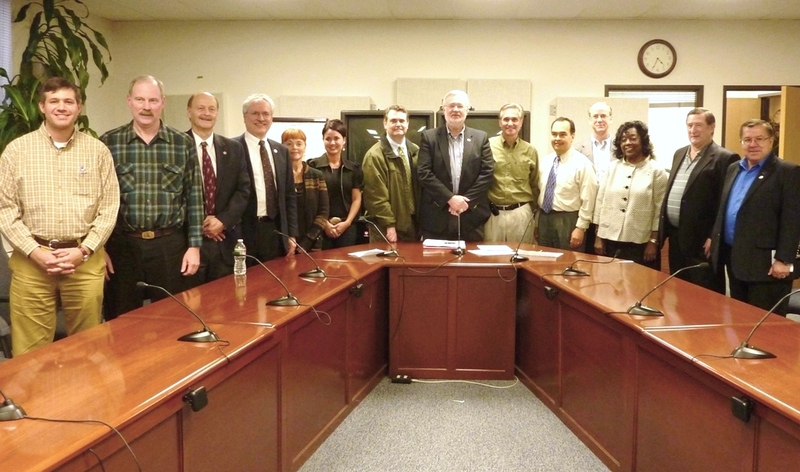 The Senate Bipartisan Working Group has completed its organization for the 27th Alaska State Legislature. During the next two years I will continue to serve as Co-Chairman of the Senate Finance Committee. This position is part of Senate Leadership and manages the agenda of the Finance Committee. Along with my Co-Chairman Senator Lyman Hoffman, I will be responsible for scheduling legislation for hearings and drafting the state budget. This position will help me advance Southeast issues, further infrastructure development, and ensure Alaska’s finances are managed prudently. I’m honored colleagues placed their trust in me to serve in such an important post again. Working with them, I look forward to a seamless transition to the next legislature, and continuing to address important issues facing our state. The Alaska Department of Natural Resources has announced brief holiday closures of the Sitka Recorder’s Office. The Recorder’s Office preserves important documents and helps Alaskans conduct business. During these closures you can record for Sitka through the Juneau Recorder’s Office. I encourage Alaskans to vote in the general election this Tuesday. This is a very important election and many races are coming down to the wire. Alaska has a history of close elections, and several races in our state’s history have been decided by only a handful of votes. 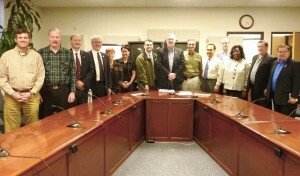 This year Alaskans will be voting on candidates for U.S. Senate, U.S. House of Representatives, Governor, Lt. Governor, and several state offices. You will also have the opportunity to weigh-in on important statewide policy issues, including two bond propositions and an amendment to the state constitution. Voting is a vital part of our civic process and I hope you will make your voice heard. The polls will be open until 8pm Tuesday evening. You can locate your local polling place on the Division of Elections’ website.